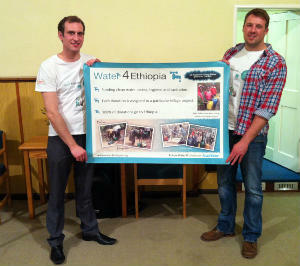 Water4Ethiopia is an independent charity founded in April 2009 with the aim of increasing clean water access, hygiene and sanitation levels in Ethiopia. The charity was founded as a result of one of the trustees, Andrew McAllister, spending the summer of 2008 in Ethiopia and seeing for himself how small donations from Europe really can and do change and save lives in Ethiopia. Water is a necessity for life, yet drinking unclean and contaminated water is also one of the biggest killers. An estimated 250,000 children die from drinking unclean water each year in Ethiopia. Drinking, cooking and washing in contaminated water can leave communities easily open to illnesses such as bronchitis, tonsillitis, sickness and diarrhoea, as well as the deadly malaria.